Please send the text content in the body of the email (especially if in Hindi) and attach the same as a Word Doc. Email the above items to hindiconferencenyc@gmail.com. Sushma Malhotra works as an Assistant Principal in New York City Department of Education in District 79. She worked as an English Language Learner Instructional Support Specialist at New York City Department of Education central office. In India, she worked as teacher in Border Security Force Higher Secondary School, Jalandhar, Sacred Heart Convent School, Ludhiana, and then worked as a Principal at DAV Public School, Kulu, HP. She has been associated with Akhil Vishwa Hindi Samiti, NY as a cultural secretary since 1996. In 2006, she initiated Hindi and Punjabi Languages Other Than English (LOTE) Regents examination for the New York State Department of Education. She initiated Hindi teaching as a native language at John Adam High school, Queens, NY. She was a Hindi language delegate for the New York State Association of Bilingual Education (NYSABE) for last five years. She has been directing the STARTALK Summer Hindi language program since 2009 where hundreds of students have been trained to communicate in Hindi. She authored a Hindi poetry book, Anjuli Bhar Pushap, published by Akhil Vishva hindi Samiti, New York. Susham Bedi is a leading South Asian (Indian) author of novels, short stories and poetry. She has taught language and literature at the department of Middle Eastern and Asian Languages and Cultures (MEALAC) at Columbia University, New York. She writes predominantly about the experiences of Indians in the South Asian diaspora, focusing on psychological and 'interior' cultural conflicts. In January, 2006 she was honored by Sahitya Academy in Delthi for her contributions to Hindi literature. Dr. Neeraj Chaurasia, Deputy Librarian, Indian Institute of Technology Delhi (IIT Delhi), is also the Coordinator, Core Group (Rajbhasha). He obtained his Ph.D. in Library & Information Science from Sagar University, M.P. He served at Sahitya Akademi, ACBR-University of Delhi, India Habitat Centre and Developing Library Network (DELNET), New Delhi. His area of interest includes – Professional Administration of Libraries, Web-based Library Services, RFID implementation, eResources Consortia management, Library Networks, eBooks, Digitization, and other automation related activities in Libraries. Mary Curran is the Associate Dean of Local-Global Partnerships at the Graduate School of Education, at Rutgers, The State University of New Jersey. She is also a faculty member in language education. Her research interests are in the areas of community and international collaborations, language teacher education, and culturally responsive pedagogy. She has published in journals such as TESOL Quarterly, Journal of Teacher Education, Learning Languages, and others. For the past eight years, she has received STARTALK grants to foster the development of Chinese language teachers. Kaitlin D'Agostino is an AMESALL alumna who now works at TransPerfect Translations as a project manager for legal and technical documents. She specializes as a reference for several Spanish and French, as well as Hindi and Arabic in her department. In addition, she also works as a ES>EN and EN>ES translator/ interpreter for legal and political documents. This is her second year participating in the conference and her third year working with Hindi. Vinod Dua is one of the best known names of the Indian media. He has been the face of Indian television since 1974. He has seen and been associated with Indian television’s transition from a government controlled, black and white, single-channel entity to the present-day multi-channel transnational satellite TV industry. A veteran of thousands of hours of telecasting, Vinod Dua is an anchor, political commentator, election analyst, producer and director. Vinod Dua became household name for anchoring programs like Aap Ke Liye, Janvani , Chakravyuha, Tasveer-e-Hind , Chunav Chunauti , Pratidin, Parakh and Kaun Banega Mukhyamantri. He was the first electronic media journalist awarded by esteemed BD Goenka Award for excellence in journalism in 1996. He was awarded the Padma Shri for Journalism in 2008 by Government of India. Dr. Anand Dwivedi, is currently serving as Director, Hindi Language and Culture Program,The Joseph H. Lauder Institute of Management & International Studies, University of Pennsylvania. Prior to joining Lauder Institute, he served as the Associate Director at the South Asia Center, Syracuse University. Anand is an ACTFL certified OPI tester for Hindi and has served as a language specialist for assessment projects for the Defense Language Institute as well as material development projects for ACTFL's Heritage Learners. आनन्द द्विवेदी जोसेफ लाउडर इंस्टीच्यूट ऑफ़ मैनेजमेंट और इंटरनेशनल स्टडीज, यूनिवर्सिटी ऑफ़ पेन्सिलवेनिया में हिंदी भाषा और संस्कृति कार्यक्रम के निदेशक पर कार्यरत हैं। इससे पूर्व सिराक्यूज विश्वविद्यालय के दक्षिण एशिया केंद्र के सह-निदेशक के पद कार्यरत रह चुके हैं। हिंदी भाषा के शिक्षण और मूल्यांकन से संबंधित कई परियोजनाओं से भी भाषा-विशेषज्ञ के रूप में जुड़े रहे हैं और भाषा से संबंधित कई पेशेवर संगठन जैसे ACTFL, NCOLTCL, SALTA और NEALT के सदस्य हैं. Dr. Surendra Gambhir, who served as a distinguished member of the faculty of the University of Pennsylvania between 1973 and 2008, is the recipient of many awards, with the most recent one from the President of India for his language related research about India, the Caribbean, Mauritius and the United States. He is the founding Chairman of Yuva Hindi Sansthan and consultant to STARTALK programs. Asher Ghertner first studied Hindi as an undergraduate during a semester abroad in Jaipur. His visit to India at the time led him to switch his academic focus from Environmental Science, in which he earned a BA from Colby College, to Geography and Development Studies, his current research areas. As an MA and PhD student at UC-Berkeley, Ghertner studied intermediate and advanced Hindi and also was awarded a fellowship from the American Institute of Indian Studies to complete its year-long Hindi Language Program in Jaipur. Ghertner began his PhD research at this time on the life and struggles of slum residents in Delhi. His PhD focused on the politics of slum demolition and eviction in Delhi in the lead-up to the 2010 Commonwealth Games. Based on two years of ethnographic research conducted primarily in Hindi, Ghertner spent time with slum residents threatened by demolition, as well as with the planners, judges, neighborhood associations, and politicians who targeted them. After completing his PhD in 2010, Ghertner was an assistant professor in the Department of Geography and Environment at the London School of Economics. He joined the Department of Geography at Rutgers University in 2012 and has served as the director of the Rutgers South Asian Studies Program since 2013. 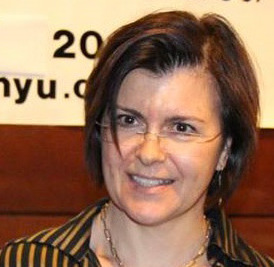 Ghertner has published widely on urban social movements, governance, slum housing, environmental law, and property in India. His book, Rule by Aesthetics: World-Class City Making in Delhi, is coming out this summer with Oxford University Press (OUP) and will be released with OUP-India later in 2015. Dr. Häberl is Chair and Associate Professor at the Department of African, Middle Eastern, and South Asian Languages and Literatures (AMESALL). He was born and raised in the State of New Jersey, and received his PhD in Near Eastern Languages and Civilizations from Harvard University. In addition to teaching Arabic and Aramaic language courses at AMESALL, he also teaches content courses on the modern Middle East in the Middle Eastern Studies Program (MESP), and served as the Director of the Center for Middle Eastern Studies from 2009-2012. In the past he has served as an Undergraduate Fulbright Faculty Advisor and member of the Advisory Committee for Study Abroad Programs in the Middle East at Rutgers, as well as a juror and panelist for the United States Department of State's "Critical Language Scholarships for Intensive Summer Institutes". He is currently serving as Near East Regional Director for the Endangered Languages Catalogue. Together with James McGrath of Butler University, he received two NEH grants to create a critical edition and translation of the Mandaean Book of John, in 2010 and again in 2012. Dr. Häberl's primary academic focus is upon the languages of the Middle East, both ancient and modern, and ethnic, linguistic, and religious minorities from the region. He has conducted field work with speakers of several different Semitic and Iranian languages, which has resulted in a monograph on the Neo-Mandaic dialect of Khorramshahr. He is a member of the American Oriental Society (AOS), the Middle East Studies Association (MESA), and the North American Conference on Afroasiatic Linguistics (NACAL). He is a frequent attendee and occasional speaker at their annual meetings, and has convened the NACAL annual meeting on three occasions (San Antonio, 2007, Chicago, 2008, and at Rutgers in 2012). Prakash Hindustani is pioneer of Hindi web journalism. He is The First and formost editor of first Hindi language web portal www.webdunia.com. He is well known journalist, Blogger and social media activist. He is Having masters degree in journalism from Makhanlal Chaturvedi National University of Journalism and Communication, Bhopal and obtained his PhD in Web Journalism from prestigious Devi Ahilya University, Indore. Prakash Hindustani Have more then 30 years of experience in Hindi journalism across print, television and internet media. For most part of his career have been associated with The Times of India group and worked with The Dharmyug, The Navbharat Times, Dainik Bhaskar and Naidunia. He was associated as bureau Chief with leading national and regional TV channel such as Sahara Samay, GNN Satellite Channel. His website has been running successfully for the last 14 years, promoting Hindi journalism and journalists. Simultaneously, He is blogging for the last 6 years at http://prakashhindustani.blogspot.in and have also been awarded amongst the Top 10 Hindi bloggers in the country by ABP News, and he war also awarded 'Parikalpana SARK shikhar samman in Thimphu, Buthan, this year. He has written a popular book on PM Narendra Modi's election strategy, which has been published in several Indian languages. Dr. Panchapakesa Jayaraman, a renowned teacher and promoter of Hindi, has authored 26 books. He was honored by the President of India with Pravasi Bharatiya Samman in 2006, and a Padma Shri in 2009. Dr. Jayaraman came to the USA in November 1980 to establish a Bhavan’s branch in New York. After leading Bhavan in USA for 28 years, Dr. Jayraman is currently working on 'Sant Vani' project. Praveen Kumar, Vice President (Business Development) of the State Bank of India, New York branch, has more than two decades of experience in various areas of banking operations, such as, operational, managerial and strategic administration, credit and trade, finance, system administration, project management, training and marketing and international banking. He holds an Advanced Diploma in Management Accounting from Chartered Institute of Management Accountants (CIMA), United Kingdom, and a Bachelor of Science (B.Sc.) degree in Physics from University of Kerala. A language teacher by profession, by nature and choice a writer( published and awarded one), has been teaching Hindi, Urdu and English to foreign learners of the East and the West coast regions of the United States for the past thirteen years. Born in Himachal Pradesh in India, received education from different educational Institutions of the country. M.Phil from the H.P.U.Shimla; Ph.D in English, Masters in Urdu, and the Post graduate Diploma in Hindi-English Translation from the Punjab University Chandigarh. Another Masters in Distance Education from IGNOU, New Delhi. In Hydrabad, did the PGDTE from the CIEFL, and also received fellowship from the ASIRC, Hydrabad. Taught Hindi, Urdu, and English for specific purposes at different levels and places in India. Appreciation and recognition in the creative world for the work as a published writer, poetess, translator, critique and freelance journalist.Wrote column for a Hindi newspaper in Chandigarh. First written book was published by the Punjab Government and was released by the former president of India. Currently busy teaching Hindi and developing curriculum, and occasionally contributing articles in the Monterey Herald, California. Born in a small port town of Mandvi in Kutch District, Dr. Navin C. Mehta came to The United States in 1974 after completing his basic and medical education in Mandvi, Bhuj, and Rewa in India. Dr. Mehta received fellowship in bead and neek surgery with New York Medical College affiliated hospitals in 1982-83. After which Dr. Mehta started his private and affiliation with New York Eye & Ear Infirmary. Dr. Mehta, a leading authority in the field of Otorhinolaryngology is, among other things. Surgeon Director of Department of Otorhinolaryngology. The secretary of Medical Board. Board of Directors. Board of Trustees, and Faculty Member of Temporal Bone Laboratory of New York Eye & Ear Infirmary. He is Clinical Professor of Otorhinolaryngology at New York Medical College and Associate Attending Surgeon at Cabrini Medical Center. Practicing in New York as an Otorhinolaryngologist and an expert in neck, head and facial surgery, Dr Mehta has earned mainstream recognition in this highly specialized field. As chairman of the Medical Board of New York Eye & Ear Infirmary for 18 years, he is the first Indian in the 180 years history of the prestigious hospital to hold that position. He has been associated with several Prestigious cultural and Charitable institutes, like Bharatiya Vidya Bhavan USA (Past Chairman-Trustee and Currently President of Trustee Committee), Share and Care, Gujarati Samaj of New York, AlA, AAPI, Gandhi Mandir, Jaina, Sanatan Mandir, ICS of NJ and ICA of CJ etc… in various capacities. He is also an affiliate of the Royal Society of Medicine by Royal Charter, London, England. He is also a Founding Trustee and Board of Director of Shree Dwarkadhish Temple, Sayreville, NJ and Gujarati Samaj of New York. He has been a Director of Shree Vraj Mandir since 1992. Dr. Mehta is also President of MAHAPI (Manhattan Association of Physicians from India -15 years). . Dr. Mehta is former Chairman of Bharatiya Vidya Bhavan and currently he is President of Trustee Committee. Under his Chairmanship Bharatiya Vidya Bhavan, USA in association with External Affairs Ministry successfully organized 8th World Hindi Conference which was a grand success. With inaugural session held in United Nations the conference projected strong case for the Hindi Language on the world platform. Christi A Merrill is an associate professor of South Asian Literature and Postcolonial Theory at the University of Michigan, and author of Riddles of Belonging: India in Translation and other Tales of Possession (Fordham University Press, 2009). Her translations of the stories of Rajasthani writer Vijaydan Detha, Chouboli and Other Stories, co-published by Katha (New Delhi) and Fordham University Press (New York) won the 2012 A.K. Ramanujan Award. She recently spent the 2013-14 school year in India on a Senior Fellowship through the National Endowment for the Humanities and the American Institute of Indian Studies researching her current book project, Genres of Real Life: Mediating Stories of Injustice Across Languages. Ambassador Mulay took charge as Consul General of India in New York on April 23, 2013. Born on November 5, 1958 in Kolhapur District of Maharashtra State (Western India), Ambassador Mulay is an award-winning writer in Marathi and Hindi. He joined the Indian Foreign Service in 1983. Ashok Ojha, a New Jersey based journalist and teacher, is president of Yuva Hindi Sansthan and managing trustee of Hindi Sangam Foundation, NJ. He has been directing STARTALK Hindi programs since 2010, such as,STARTALK programs at Kean University (2010, 2011), YHS STARTALK Hindi programs at Bensalem, PA (2012) and Hatfield, PA (2013). A K-12 certified teacher for social studies Ojha taught Hindi at Middlesex County College, Edison, NJ and English as a foreign language in Yongan, Fujian, China in 2012. He writes for Hindi and English publications in USA and India including his own blog. Shaheen Parveen joined Department of African Middle Eastern and South Asian Languages and Literatures at Rutgers University in Fall 2013. She teaches Hindi and Urdu at Rutgers. Dr. Parveen earned her doctoral degree from Lucknow University, India, with a dissertation focused on retention of literacy, a field of study which she frequently applies to her current work as a lecturer committed to improving foreign language pedagogy at the university level. Dr. Parveen has successfully developed standards-based curricula for Hindi language teaching. These curricula are thematically organized, incorporate differentiated instruction and task-based lessons, and create technology-centered, student-centered learning environments. She employs these pedagogical tools and teaching materials to maximize opportunities to use the language in “real world” situations. She is an ACTFL- certified oral proficiency tester- rater for Hindi, and Trainer for Hindi-Urdu. She has reviewed several Hindi and Urdu textbook manuscripts for various publishers. Before joining the Rutgers University, Dr. Parveen was a Lecturer in Foreign Language and served as the coordinator of South Asian Languages at the University of Pennsylvania. She was also the director of the Hindi, STARTALK summer program at UPenn. She has taught Hindi and Urdu at Columbia University and The University of North Carolina at Chapel Hill, North Carolina. She also taught a course in Early Childhood Teacher’s program at Kingsboro Community College in New York. Teju Prasad is the lead developer of Four Rooms, LLC, creator of the “Hindi Script” app for learning the Devanāgarī letters and basic Hindi vocabulary. He has worked in app development for three years, releasing four apps into the app store, and has worked in technology for over 10 years. Dr. Nilakshi Phukan has been teaching Hindi-Urdu languages and South Asian literature and cultural courses at North Carolina State University since Fall 2011. She received her Masters Degree in Hindi Language and Literature from Dr. B R Ambedkar University, India. She did her Post Masters Degree in Linguistics and completed her Ph. D in Hindi Literature from the same university in 2006. She also worked as a Hindi-Urdu lecturer at University of North Carolina at Chapel Hill. She served two years as a Hindi-Urdu instructor and coordinator at the University of Colorado at Boulder. She also taught intensive Urdu language courses to the soldiers of the Fort Bragg Military branch at NC State. Her research concentration includes Indian languages and literatures, South Asian cultures and literatures, linguistics, Bollywood movies and folk literatures of India. She has been currently teaching online and teleconference Hindi-Urdu language and literature courses through UNC online. She has received the Hindi-Urdu Club’s President’s Award for the outstanding contribution to advancing Hindi-Urdu languages at the NCSU campus. She was nominated for CHASS outstanding lecture award for 2014-15. She is the current advisor of different South Asian student organizations at NC state university. She has been serving as a board of directors in Hindi Vikas Mandal and the cultural secretary of Assam Association of North Carolina. She has been organizing different cultural activities at NCSU campus along with leading the student’s events and organizational activities. She authored two books (Kunkhan Apun Bhumi?, Shishur Shreshtha Galpa) translated from Hindi to Assamese language. She was also the chief editor of the book "Grandmothers Tales" translated from Assamese language to English in 2014. She has been publishing several articles, journals, short stories, and poems in various newspapers and magazines. She had created 28 Hindi-Urdu conversational movies by using ACTFL (American Councils on the teaching of Foreign languages) proficiency and the movies are posted on NCSU mediasite (http://chass.online.ncsu.edu/online/Catalog/Full/f363f825ec884fa4bb00519a08f6bbf921/?state=hJPoFVPk0EELT0QJ10K0). She is currently working on a collaborative project between NC State and Duke University to create and develop advanced level online Hindi conversational materials for world language resources at Duke University. Prof. Santosh Satya, did her PhD in Nuclear (Radio) chemistry from IIT Delhi in 1980 and joined the faculty of ‘Centre for Rural Development and Technology’ at IIT Delhi. Her current research areas include Sustainable Agriculture, Eco-friendly Grain Storage System, Food Quality and Safety for Holistic Health, Technology and Human Values. She has published ̴ 100 research papers (jointly) in International and National Journals. ̴ 25 PhD theses have been completed jointly under her supervision. Her expertise and dedication towards Hindi is reflected in terms of 25 research papers and 10 technology manuals/book chapters published in Hindi. डॉ. हर्ष बाला शर्मा इन्द्रप्रस्थ कॉलेज, दिल्ली विश्वविद्यालय के हिंदी विभाग में सहायक प्रोफ़ेसर के पद पर कार्यरत है. उन्होंने राष्ट्रीय और अंतर्राष्ट्रीय स्तर पर विभिन्न अकादमिक कार्य किए है, हाल ही में (वर्ष २०१४) लौजैन विश्वविद्यालय, स्विट्जरलैंड में बतौर विजिटिंग प्रोफ़ेसर उन्हें आमंत्रित किया गया.उनकी विशेष रुचि भाषा विज्ञान और नाटक के क्षेत्र में है तथा यू.जी.सी. प्रदत्त वृहद शोध परियोजना के अंतर्गत वे नाटक के भाषा विज्ञान के समाज-मनो भाषा वैज्ञानिक विश्लेषण पर कार्य कर चुकी है.उन्होंने भाषा और औपनिवेशिकता विषय पर राष्ट्रीय सेमिनार का सफल आयोजन वर्ष २०११ में किया. विश्वविद्यालय में सर्वोच्च अंक प्राप्त करने हेतु उन्हें मैथिली शरण गुप्त सामान और सावित्री सिन्हा स्वर्ण पदक से सम्मानित किया गया. वर्ष २००९ में प्रसिद्द वैज्ञानिक डॉ. ए.पी.जे अब्दुल कलाम के हाथों उन्हें विशिष्ट शिक्षक सम्मान प्राप्त हुआ. उनकी प्रमुख पुस्तकों में भारतीय साहित्य: भाषा, मीडिया और संस्कृति, समकालीन हिंदी नाटक, सांझी सांस्कृतिक विरासत के आईने में भारतीय साहित्य तथा २१वीं शती: औपनिवेशिक मानसिकता और भाषा शामिल है. अभी फिलहाल वे कहानी और कविता लेखन कर रही है. Main area of work: Hindi language proficiency assessing, Curriculum developing and teaching for NFLC,SAIS,USAID,DLS,ICA,ICLS and other most of the educational institutions of Washington Metro area in person and distance assignments. Associated with Hindi language promotional activities, including poetry recitation and publication, and interpretation and translation services for prestigious institutions. Studied in HPU Shimla, with Ph.D. in theatrical studies, research- fellow in Indian Institute of Advanced Studies India. Four books and 28 research papers and scores of creative writings published in National and e- publications. Honors bestowed: International Poet of Merit USA. Sahitya Shree, Mahila shree, State Award of Best teacher, Yoga vibhuti, India. Prof. Kesharilal Verma is presently serving as Chairman, Commission for Scientific & Technical Terminology, Ministry of Human Resource Development. He has also been entrusted with the additional charge of Director, Central Hindi Directorate, Ministry of Human Resource Development. Prof. Verma is appointed to the post of Professor in Pt. Ravishankar Shukla University, Raipur (Chhattisgarh). He has a vast experience of working on varied educational and administrative posts of the University, like Dean, Faculty of Arts; Head, School of Studies in Literature and Languages; Dean Student’s Welfare; Coordinator, U.G.C. Coaching Scheme; Administrative Officer, Institute of Management; Public Relation Officer; OSD, General Administration; Chairman, Board of Studies in Linguistics; Member, University Court, etc. Prof. Verma has extensive experience of working as member in different national-level Committees, like Hindi Advisory Committee, Ministry of Mines & Ministry of Steel, Government of India; GIA Committee, CIIL, etc. He has also worked as member of Selection Committees in various Central as well as State Universities, Public Service Commission, Staff Selection Commission, etc. He is currently a member of General Council & Language Development Board of the prestigious Sahitya Academy (National Academy of Letters). His major works in the capacity of a Writer and an Editor includes – ‘Karyalayeen Hindi’, ‘Chhattisgarh ki Asmita’, ‘Linguistics and Literature’. While working in the capacity of Chairman, Commission for Scientific & Technical Terminology and Director, Central Hindi Directorate, he has also got the work of publishing more than three dozen publications completed as Chief Editor. Till date more than 80 Research Students has attained their M.Phil. and Ph.D. degrees under the guidance of Prof. Verma. He has been a member of Executive and Publication Committee of Linguistics Society of India over a long period of time. He has already been to Malaysia, Singapore, Bangkok, Dubai, Uzbekistan, Turkey, etc. on diverse educational tours. Prof. Verma is persistently endeavoring towards promotion, propagation, preservation, and development of Hindi and other Indian languages. M J Warsi, a well-known linguist and language pedagogue in the United States is the recipient of the prestigious James E. McLeod Faculty Recognition Award for the year 2012. He has been the recipient of UP Hindi-Urdu Literary A ward for the year 2011, namedas“unsung hero” by the University of California at Berkeley in 2005, a recipient of West Bengal Urdu Academy award for his book “Diploma in Computer Application and Multilingual DTP” in 2003. Dr Warsi presently teaching at Washington University. In the United Sates, M J Warsi, is making the study of South Asian linguistics and Hindi-Urdu more popular and viable. His recent discovery of a new dialect spoken in certain district of Bihar "Mithianchal Urdu" published by LinCom Europa (2014) is seen as a very valuable contribution in the area of Applied linguistics. Warsi, author of many books on South Asian Languages and linguistics is also the principal Investigator of an online project Intermediate Urdu which can be viewed at http://urdu.wustl.edu. Dr Warsi regularly contributes in national dailies on Indian cultural heritage. The bio of Mr. Yarlagadda can be dowloaded as a PDF.